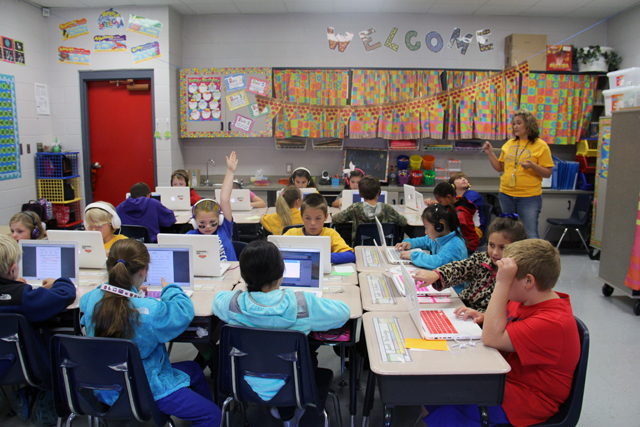 Can a school district’s technology program lift a rural Alabama town out of poverty? 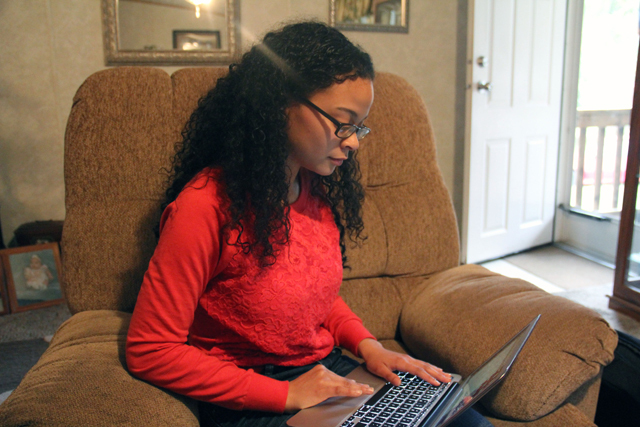 PIEDMONT, Alabama — For years, Chasity Tucker got frustrated when she tried to use her home computer for schoolwork. The 17-year-old senior at Piedmont High School in this rural northeastern Alabama town said her computer was slow and frequently got viruses. Then, in eighth grade, Tucker received a free laptop through the Piedmont School District as part of a new program. Tucker was immediately hooked. She could use her computer to quickly research topics and complete assignments. 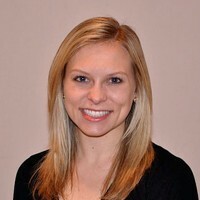 When she got to high school, she took an online Spanish class and used her laptop to research new potential careers. When she came across the website for the United States Air Force, she was impressed. She used her computer to look up the recruiter’s phone number, take a practice test and watch videos about her dream job, becoming a dental hygienist for the Air Force, which she will join after graduation in the spring. “If I didn’t have that computer, I probably wouldn’t have joined the Air Force,” Tucker said. Students in Piedmont have had more access to computers and the Internet since 2009, when the district adopted a one-to-one laptop program in its oldest grades. Since then, the district has been adding online courses, and in 2012 it installed a wireless network over the entire town, so that students and their families can access the Internet at home. It’s an ambitious goal for a district of 1,240 students in the foothills of the Appalachian Mountains, about 15 miles west of the Georgia border. In recent years, several major factories have shut down operations in Piedmont and relocated elsewhere, taking hundreds of jobs with them. 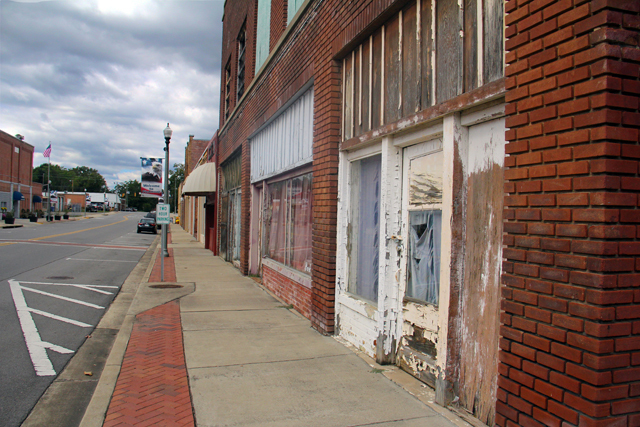 The modest downtown area is lined with abandoned buildings and empty storefronts, with a few businesses, like a café and a clothing store, clustered together on the main street. The town of about 4,800 has a median household income of only $33,000, about $20,000 lower than the national average according to census data. More than 9 percent of residents are unemployed, and 25 percent of adults age 25 and older have less than a high school diploma. Nearly 37 percent of the town’s children live in poverty. 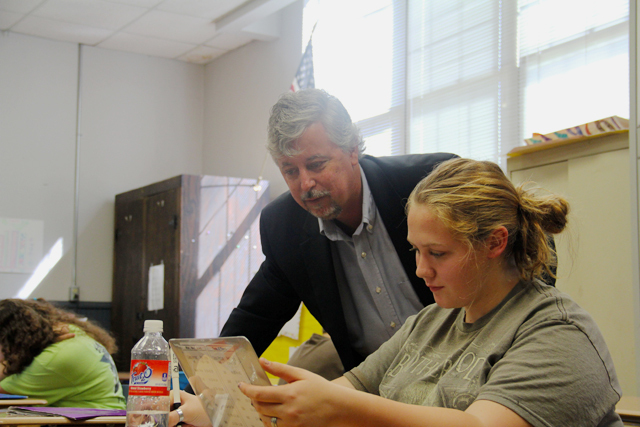 A technology program of Piedmont’s size is an unlikely sight in rural Alabama, a state so far behind on technology use in schools that it earned an “F” on a “digital learning report card” published this year by Digital Learning Now, a group that advocates for more online learning. The ratings were based on whether schools have high-speed broadband, whether teachers and students have Internet-capable devices and whether the state has met certain benchmarks to ensure effective use of technology. In Alabama, less than 60 percent of residents have access to high-speed Internet, compared to the national average of 71 percent, according to census data. Rural areas like Piedmont often have even less access. Educators say that the technology and Internet gap only compounds the state’s educational challenges. On national standardized exams, the state’s fourth- and eighth-grade students rank near the bottom compared to students from other states. Outcomes for the state’s rural residents are even more dismal. More than 42 percent of Alabama’s students attend rural schools, and they have posted some of the lowest scores on standardized tests in recent years, compared to rural students nationwide. More than 55 percent of those rural students qualify for free or reduced-price lunches, and nearly 80 percent of rural adults in Alabama lack a high school diploma. Rural Alabama adults also have one of the highest unemployment rates compared to rural adults in other states, and one of the lowest median household incomes in the nation. That’s why advocates say technology can be critical. Research shows that access to technology and the Internet in rural areas can close critical information gaps and expand opportunities. With computers and high-speed Internet, rural residents can access college and scholarship information, take online courses, fill out job applications and find educational resources like study guides. In Piedmont, the district’s adoption and rollout of a technology program has been slow and cautious. Before the one-to-one initiative, each classroom had a handful of large, desktop computers. In 2009, a group of teachers and administrators drove 350 miles to Mooresville, North Carolina, whose schools many regard as a model for how students can use laptops, to see a technology program in action. The team was impressed and eager to get started. That fall, Piedmont high school received several carts of laptops from a federal Enhancing Education Through Technology grant. Despite the influx of technology, many students still struggled with access and lacked the Internet at home. When teachers assigned online assignments or videos, students had to download videos before they left, or else return to sit outside the schools at night to connect to the district’s network, said Jerry Snow, principal of Piedmont Middle School. In late 2011, the district received a federal E-rate grant to install a wireless network over the town. It helped students, and Snow said it also “really removed barriers for our teachers,” who now had fewer limitations on what they could assign for homework. Unlike larger or more urban districts, Piedmont has not had access to technical experts or a large technology staff. District leaders have relied on student workers from the high school and a nearby college to troubleshoot. They have also opened their doors to student teachers so that teachers have more help implementing the technology, and so that aspiring teachers can learn how to use computers in classrooms. On a recent morning in a classroom at Piedmont High School, nearly 35 students sat at tables on the perimeter of the room in what looked like a high-tech study hall. Some were hunched forward with headphones on, silently working on laptops as a teacher circulated the room to offer assistance and troubleshoot. Others chatted quietly with friends, laptops untouched in front of them. The students were part of an independent work class in which they could complete one of nearly a dozen online classes like health and Latin. In 2011, Piedmont contracted with Middlebury College to offer online foreign language classes, including Chinese, Latin and German for high school students. “The odds of us having a Latin teacher are zero,” Akin said on a recent afternoon as he watched students work on their online courses. The increase in online classes, he said, also frees up some teachers to teach new courses, like robotics, computer science and film studies. For years, the district had only Spanish classes due to staff availability. Now, the high school offers five languages through the online program, as well as some classes that fulfill graduation requirements for math and science. Most seniors take an online class the first period of the day. “The first year, to me, we were surviving. We thought we were doing grand things. ‘Look, I uploaded this PDF!’” Piedmont teacher Michele Downey. About 150 students at Piedmont High School participate in dual-enrollment classes with nearby Jacksonville State University. Akin said this can be critical to preparing rural kids for a better future. Some research shows that although rural students are less likely than their non-rural peers to attend college, participation in dual-enrollment programs can increase the likelihood that they will do so. 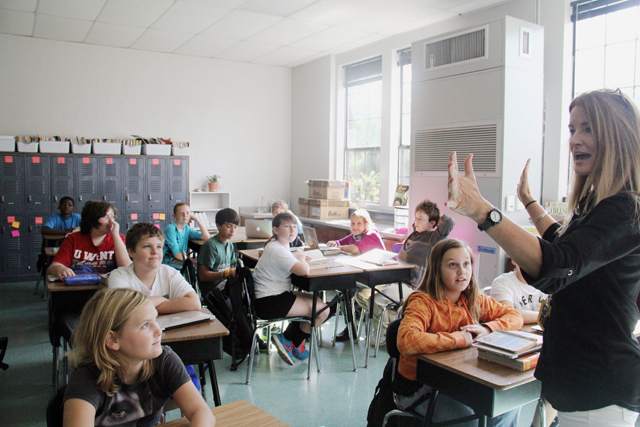 Rural schools often have challenges in offering dual-enrollment courses, however, due to a lack of qualified teachers, transportation and funding. The laptops have also increased parental involvement and, in some cases, boosted opportunities for adults. Parents frequently use the laptops and wireless network to take online classes, practice for the GED, and apply for jobs — all of which fits into Akin’s vision of improving opportunities for the entire community. Even the local day care center is wired to the Internet network so that students of all ages can work on homework after school. Early on in the process, Akin and his administrative team decided not to block student access to pages like YouTube and Facebook, and they don’t seem to mind when they hear students talk about using their computers at home to play games. Akin said he’d rather students learn to overcome possible distractions now, rather than when they get to college. 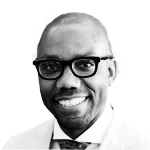 “We have to teach them how to use technology responsibly,” Akin said. Although Piedmont’s original motivation for adopting technology was to broaden opportunities and access, it now also focuses on using technology to address specific academic needs in the district’s three schools. Last year, teachers across the district rolled out a “personalized learning” approach, which includes a plethora of online programs that test students frequently and then provide practice problems and lessons at their individual levels. Piedmont had relatively strong academic scores before its technology boom, but disparities existed among student groups. In the 2010-11 school year, only 31 percent of Piedmont’s third-grade students living in poverty received the highest score on the state reading exam, compared to nearly 78 percent of non-poverty students. On the state’s fifth-grade math exam that year, only 36 percent of black students scored the highest achievement level, compared to 61 percent of white students. The district’s new personalized learning approach hopes to target both the kids who are below grade level and the kids who are above grade level and might be bored, said Principal Snow. Related: How can schools close the technology gap and how much will it cost? Next to him, another first-grader was answering questions about the setting of a story he had just read. A few desks over, a girl was working on identifying letters based on a sound she had heard. “This should be kindergarten,” explained Chris Hanson, principal of Piedmont Elementary School. “But that’s what she tested on. [The computer program] brought her back to her appropriate level.” Two desks away, another student was reading a complex story about bats, far above a first-grade level. “We just want kids to have the same opportunity that kids in other places have.” Matt Akin, Superintendent. In nearly every classroom in the district, teachers float back and forth from teaching short, whole-group lessons to monitoring students as they work independently on laptops or iPads. Kids are frequently assessed by various online programs, and then receive computer-based lessons and assignments geared to their academic levels. Instead of handing in papers, students submit most assignments online and receive grades electronically. When they have “mastered” a standard or learning goal, as shown through a computerized assessment or verbal exam, they can move on to a more challenging topic, even if their teacher hasn’t taught it yet. “They can work at their own pace now,” said Snow. Now, Downey said, teachers are using computers in more innovative ways: Students are asked to complete more research assignments, create projects and portfolios with various computer programs and take assessments online. It helps prepare them for college, Downey said. As districts like Piedmont add more technology, there’s no guarantee that it will improve learning. Research results on the benefits of using technology in classrooms have been mixed. A widely cited 2011 study found that technology can help students learn, but tends to be more effective when it supports student learning rather than simply delivering content or instruction. Although teachers in Piedmont say they, too, see an increase in student engagement, some experts are wary. Larry Cuban, a Stanford University emeritus professor of education, warns that the engagement could be temporary. “The kids are going to be very excited about [technology], but that novelty effect wears off,” Cuban said. And as more technology is introduced in schools without necessarily having teachers weigh in beforehand, Cuban said, a teacher’s job only becomes more challenging. “The daily stuff of integrating the use of tablets, picking the online courses that are just right for that particular student rather than the whole class — all of that takes an enormous amount of work on the part of the teacher,” he said. Teachers in Piedmont admit it isn’t always smooth sailing. On days when the Internet is down and lessons are derailed, teachers have to pull out textbooks and quickly switch to a backup plan or they risk wasting time and losing their students’ attention while waiting for the technology to work. And even when the Internet is working, teachers say the individual computer programs that they rely on may be down. It can also be hard to find a balance between working directly with students and letting them use computers. Justin Reich said that after a class gets technology it doesn’t mean they need to use it every day. “The goal of tech is not to maximize its usage, the goal of technology is to maximize learning,” Reich said. In Piedmont, despite the encouraging signs of success, there’s no guarantee that the district can sustain the program. Piedmont’s limited technology budget is largely funded by federal grants, and it has few private funding sources. When the federal funding for the town’s wireless network ran out earlier this year, it took several months of negotiations with local officials to reach a deal so the district could keep paying for the network.